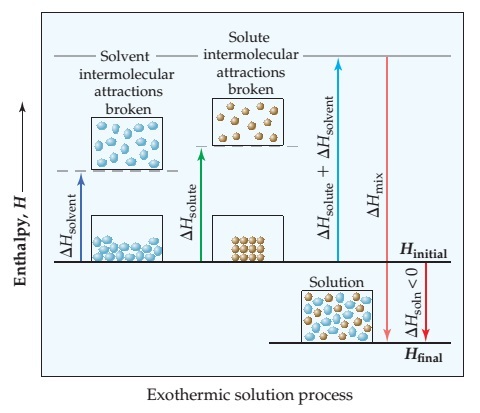 Solution: Enthalpy changes accompanying the solution process.How does the magnitude of Hmix compare with the magnitude of Hsolvent+Hsolute for exothermic solution processes? 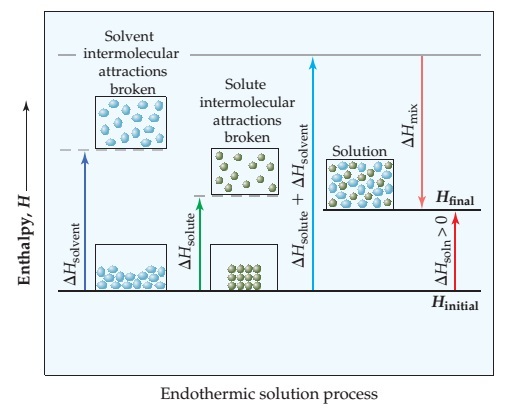 Enthalpy changes accompanying the solution process. How does the magnitude of Hmix compare with the magnitude of Hsolvent+Hsolute for exothermic solution processes?